Ohio's Louis Bromfield earned many awards and accolades as a writer during the mid-20th century, but there don't seem to be many people who are really familiar with him and his work today. 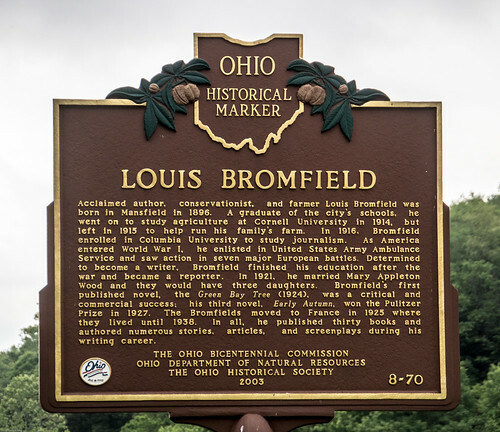 Bromfield was one of Mansfield Ohio's most famous natives, and his friends included many famous literary personalities, as well as stars of films and stage shows, artists, politicians and other leading celebrities of the 1920s through the 1950s. Who was Bromfield, and what works bear the name of this Pulitzer-Prize winning writer? Bromfield grew up on his family's farm in Ohio and originally studied architecture at Cornell. He switched to journalism after a couple of years, transferring to Columbia University in New York City 1916. He left Columbia less than a year later to volunteer with the American Field Service as an ambulance driver in France with the outbreak of World War I. He earned the Croix de Guerre and Legion of Honor for his service there. Bromfield returned to New York City after the war and began working as a reporter by 1924. Bromfield loved living in France during WWI and returned there to live with his family after a 1925 vacation, staying there for the next 13 years. He also started writing fiction. His first novel was The Green Bay Tree, and he won a Pulitzer Prize for best novel for his work, Early Autumn, in 1927. Bromfield was part of large group of expatriate writers living in Europe during the 1920s and 1930s like Edith Wharton, Sinclair Lewis and Gertrude Stein. He published more than 30 novels, many of them best sellers, and many of his books, short stories, and other pieces became the basis for popular motion pictures, plays or television productions during the mid-20th century. Bromfield frequently visited California during this time for work as a screen writer and became friends with some of the most famous film stars of Hollywood's Golden Age like Humphrey Bogart, Lauren Bacall and Errol Flynn. Some of the most popular films that earned Bromfield film writing credits include The Rains Came (starring Myrna Kit and Tyrone Power in 1939), Mrs. Parkington (starring Greer Garson and Walter Pidgeon in 1944), Brigham Young (starring Tyrone Power and Linda Darnell in 1940) and The Rains of Ranchipur (starring Lana Turner and Richard Burton in 1955). Bromfield decided to move his family, which included a wife and three children at the time, back to Ohio as World War II threatened to overcome Europe. He began writing more non-fiction with his return to America and become a pioneer in sustainable agriculture, or what he called the "New Agriculture". Today, Bromfield's former home is now Malabar Farm State Park. 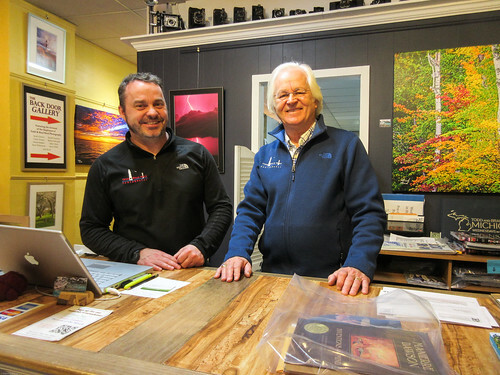 It includes a 1,500-square-foot visitors' center and a 2,000-square-foot gift shop and book store where you can purchase many of Bromfield's classic works. 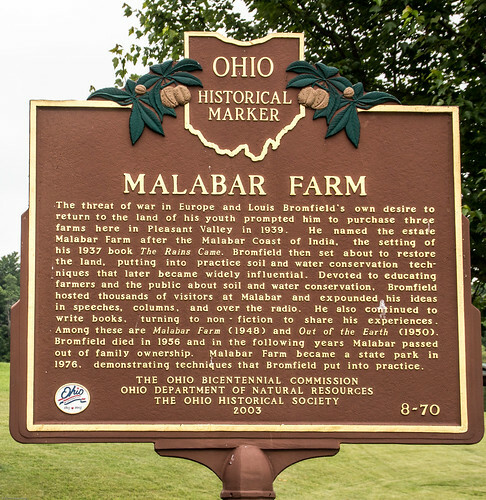 Check out my story from last week, Author travels the world, and then brings the world to Ohio's Malabar Farm, for more about Bromfield and his pioneering farm. Pulitzer-Prize winning author and conservationist Louis Bromfield traveled extensively around the world and lived abroad many years in places like France, but he found plenty to interest and amuse him deep in the heart of "Mohican Country" in northeastern Ohio when he finally settled down and built a home there as the world prepared to wage World War II in the late-1930s and 1940s. Bromfield built his home in the hills of Pleasant Valley, living, writing and farming there until his death in 1956. Bromfield grew up in the idyllic area and found that he could, indeed, come home again when he returned to purchase an old farm near his birthplace after years of traveling and living abroad. 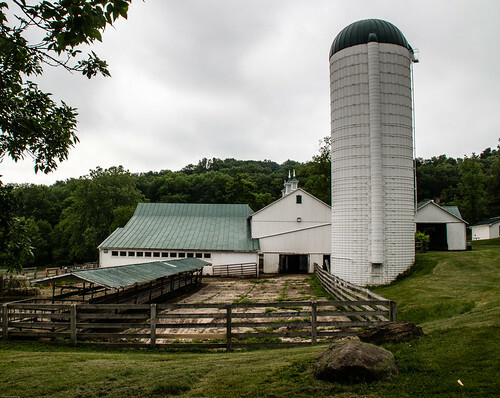 Bromfield bought a farm in the area from Clement Herring in 1939, adding land from adjacent farms to his holdings in1940 and 1941 until he owned 595 acres, and later additions meant Malabar Farm eventually spread over 1000 acres of land. Bromfield and his family originally lived in the old Fleming House on one of the farms while the author teamed up with architect Louis Lamoreux from nearby Mansfield to design and build a Greek Revival-style home, using the Fleming house as the center of a larger house and farm where Bromfield would write and work on often experimental conservation projects. Bromfield had big ideas for the home he affectionately called "The Big House" that he and Lamoreux designed to appear like a much older house with multiple additions over the years. The Big House started off as a much smaller vintage farm before Bromfield and Lamoreux transformed it into a 32-foom home, finishing it 18 months later by incorporating a blend of Western Reserve architectural styles. Bromfield furnished the home with many of his furniture and decor finds from around the world. Many of Bromfield's written works, largely written at Malabar, eventually made their way onto the stage or screen, and Malabar, 11 miles south of Mansfield and up Little Mountain Road, attracted scores of actors, literary luminaries, politicians and fellow conservationists to Ohio to visit Bromfield. As many as 20,000 people visited the farm each year, and Bromfield hosted Sunday tours that attracted as many as 100 to 200 people at a time. 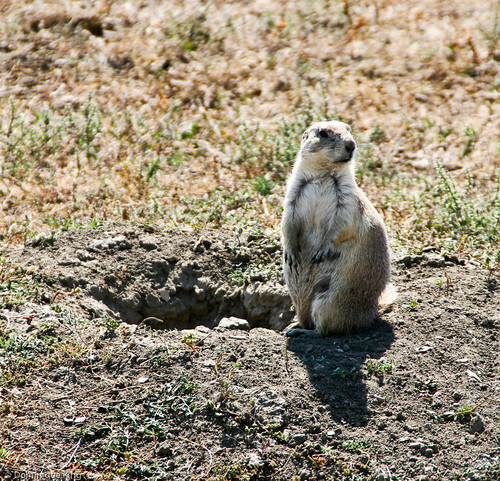 Bromfield particularly enjoyed taking guests up a narrow winding road a lookout atop to Mt. Jeez (once called Poverty's Knob) where he hosted talks about conservation and the natural beauty of the area while visitors enjoyed a panoramic view of the area and the farm. Movie stars Humphrey Bogart and Lauren Bacall arrived at Bromfield's invitation for their 1945 wedding and honeymoon, although the crush of crowds forced the couple to move their wedding inside of the Big House instead of their original plan to have the ceremony outside. 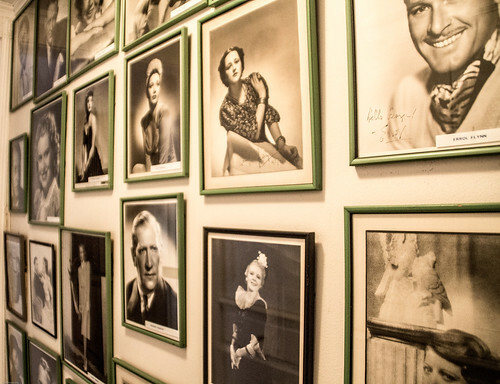 Classic film fans will also enjoy seeing some of Bromfield's extensive collection of film star photos and souvenirs from many of the productions based on his writing. They will also learn about how the filming of opening scene from the 1994 film, "The Shawshank Redemption" took place at a nearby cabin. Malabar served as a national model for sustainable agriculture, composing with manure from Bromfield's livestock and arranging fields to more closely follow the natural contours of the land to abate erosion as well as leaving large areas of the farm for foraging and pasture land. 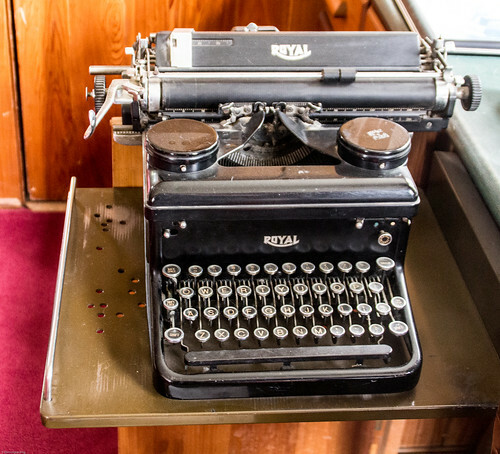 Visitors can still see evidence of Bromfield's interest in conservation and recycling at work in the farm with its large number of green initiatives. Check out Malabar's Web site for an extensive list of recycled and repurposed items, sustainable methods and products used at the farm today. Bromfield's family sold the land to a conservation foundation in 1958, a couple of years after his death in 1956. 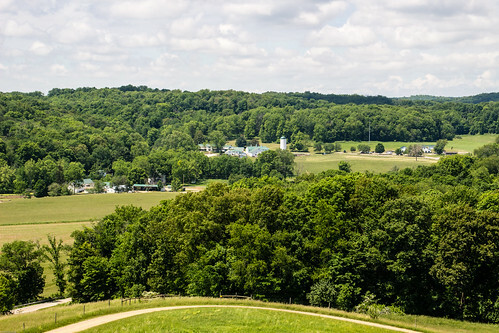 The foundation struggled with continuing to run the farm, and the state of Ohio acquired it as a state park in 1976. Still, many of the classic features of the farm and its land remain at Malabar today. In 1993, a fire destroyed the main barn, and 150 volunteers helped build a new structure that closely resembled the original barn but built to meet modern building codes. 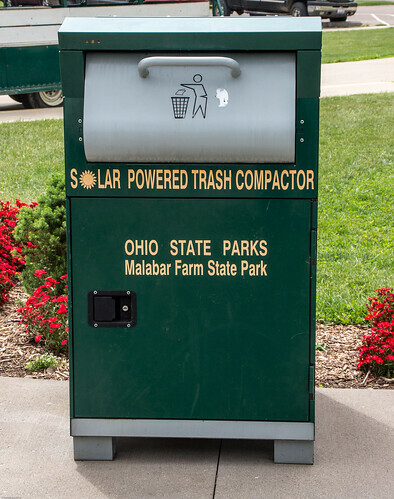 Malabar Farm State Park is about 15 miles west of Mohican State Park, making it an easy day trip if you're staying at the Mohican State Park Lodge. Farm hosts about 35,000 visitors a year today. 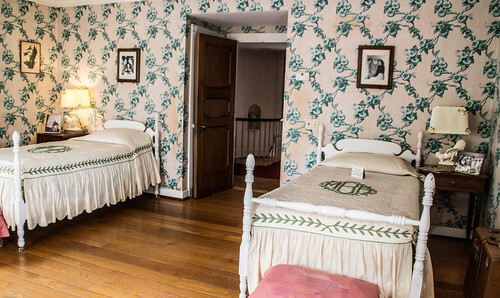 You can take tours of the Big House daily from Memorial Day through Labor Day and during more limited hours the rest of the year. Want to learn more about Malabar, the park's history as Malabar Farm and as the home of the Pulitzer-Prize winning author Louis Bromfield? Check out Louis Bromfield and His Malabar Farm by Joe James. Much as we enjoy creating the content for Midwest Guest, it takes a fair amount of effort and resources to support the blog throughout the year. Cameras, computers, server space, photo storage space, a SmugMug gallery and more are all necessary tools of the trade, which we help pay for through ad income or fees earned from our freelance writing or photography gigs. We're excited to announce a new partnership with Midwest Guest and a select group of ad affiliates working though the CJ (formerly Commission Junction) Affiliate Network that allowed us to hand-pick advertisers that we love and use ourselves, and that fit into the mission of Midwest Guest to share stories about the types of travel we love or have a strong tie to Midwestern companies and products. 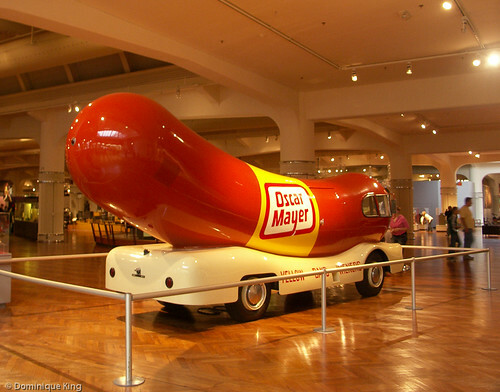 We'll receive a small commission for purchases readers make by linking to our affiliate advertisers from here that will help offset our expenses, and it's our hope that you'll find some great Midwest products and advertisers that you'll love dealing with as much as we do. Life is Good-I've long loved Life is Good and their casual T-shirts, hats, socks and other items featuring their cute graphics. 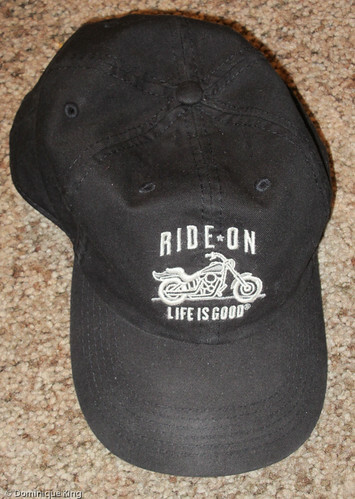 Their hockey- and motorcycle-themed shirts and hats are particular favorites with us, and my most recent purchase from them came after Tim asked for a Life is Good motorcycle hat after seeing one on someone else around town. Revzilla-This is a particular favorite with Tim. He purchased a lot of accessories for his motorcycle after his return to motorcycling after a 40-year absence from it. You'll find some reviews at Midwest Guest about gear he's purchased and enjoyed through Revzilla. Particularly impressive to me? Tim tells me fellow bike riders say Revzilla is particularly attentive to the needs of female motorcyclists seeking gear that fits correctly. I also had a good experience ordering gifts from the company for Tim and appreciated that fact that they allowed me to assign a discount coupon I earned with my purchase to Tim for his own use. 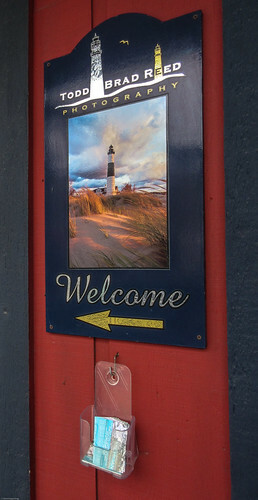 BedandBreakfast.com-Why not give the gift of travel? We are big fans of staying in Bed and breakfast inns, and this site is a great way to find unique B&Bs from around the country, and around the world, so you can plot your own adventure or give a loved one their own gift certificate towards their own unique stay. 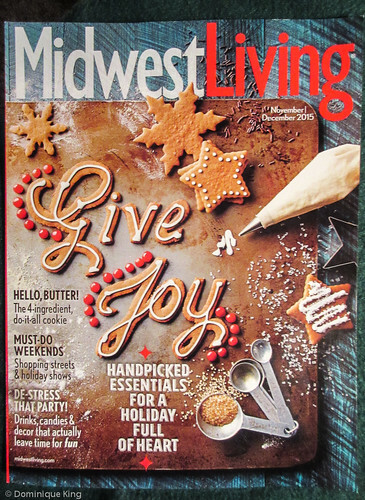 Meredith Publications-One of my favorite publications when it comes to travel is Meredith's Midwest Living magazine. 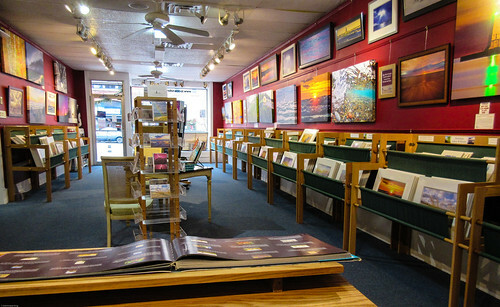 Plans for many of our trips started to take shape as I read about some great Midwest destinations in the pages of Midwest Living magazines or books. Speaking of books, we also continue to have an affiliate relationship with Amazon, which we often use to help folks find books from some of our favorite Midwestern authors like Elizabeth Kane Buzzelli (a northern Michigan author releasing a new book from her Nut House Mystery series this month and a book from her new Little Library Mystery series next summer), Mardi Link (another Michigan author who primarily writes true-crime and other non-fiction books based in Michigan) and Deanna Adams (Cleveland-area author of Rock 'n' Roll and the Cleveland Connection and several other fiction and non-fiction books). Enter through our Amazon affiliate link and search box on our front page to access these books as well as well as a world of other books, music-related or household and hobby-related products. Coming up later this month, we'll introduce a few more of our affiliate partners that specifically feature Midwest companies and products. Meanwhile, thanks so much for supporting Midwest Guest by considering doing some of your holiday shopping here!